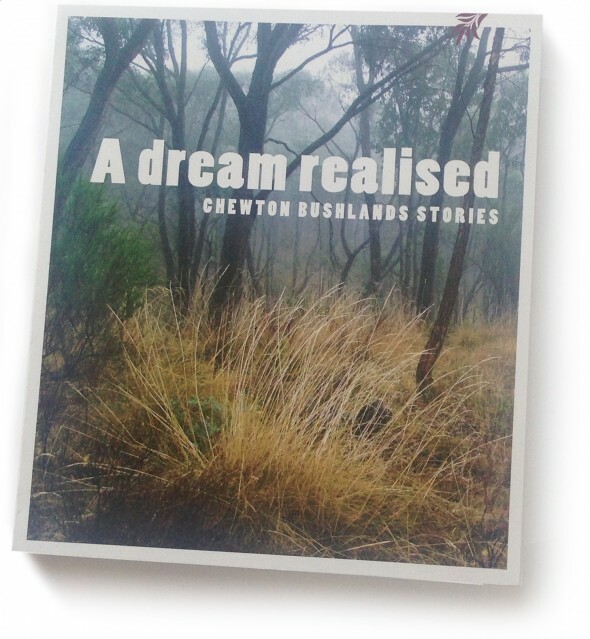 Like our roads, the journey of A dream realised: Chewton Bushlands stories has been long, steep and rocky. But the book has now arrived. fauna, all in 112 full colour pages printed on 100% recycled paper using vegetable-based inks in a 100% certified carbon neutral production. October 2015, from 2 pm at the Chewton Town Hall by Christine Henderson, Mount Alexander Shire Mayor. Our funding has limited the print run to 100 copies, so, hopefully, we’ll sell out quickly. A dream realised costs $30. Postage within Victoria costs $5. All ordered books will be available for collection at the launch. If you can’t make it to the launch, then we can mail it to you for $5 postage… see the Order form below. Account name: Chewton Bushlands Association Inc. STEP 2: Select how many books you want to order. I will pay by Direct payment. I will pay by cheque. ADDRESSED TO: PO Box 60, Chewton 3451. This entry was posted	on Monday, August 17th, 2015 at 8:27 am	and filed under • Events. You can follow any responses to this entry through the RSS 2.0 feed.